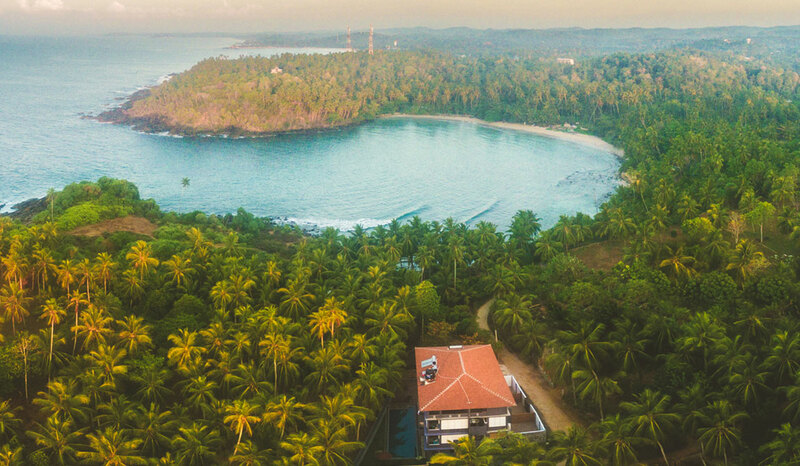 Surrounded by leafy coconut palms, with far-reaching ocean views, Jasper House offers the perfect blend of quiet seclusion and accessibility to the beautiful location. A vibrant surf town with a buzzing community, Hirikiteya Bay is one of the Southern Province’s best surf breaks for beginner and advanced surfers. Beach cafes line the shore, but situated just a two-minute walk up the hill, Jasper House benefits from a degree of separation–making it perfect for those looking for a relaxing break.